Salman Khan starrer Dabangg 2, one of the most eagerly awaited and closely followed films of the, hit the marquee today, December 21. After a special screening for friends on December 18, the Khan family and their friends from the industry attended a grander screening of the film at the PVR in Kurla, suburban Mumbai. Practically the entire film industry turned up for the screening, barring some obvious absentees. Salman Khan, who arrived with his bodyguard Shera and brother Arbaaz Khan in tow, packed in a brief performance for his fans. The Dabangg leading lady, Sonakshi Sinha looked striking in her black and pink outfit. She was accompanied by mum Poonam Sinha, who'd attended the first screening of the film too. 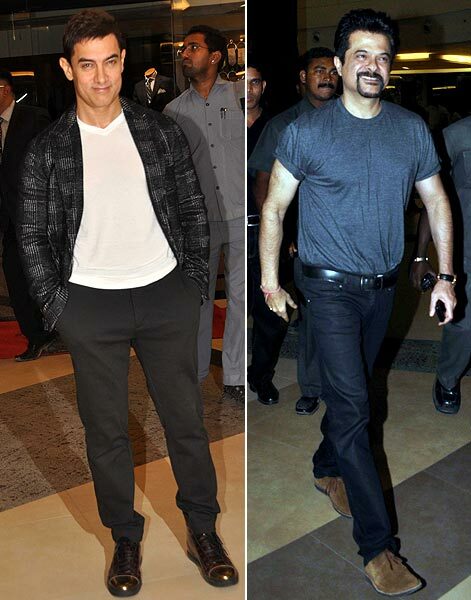 Salman's good friend Aamir Khan turned up to watch the film. Salman's No Entry costar Anil Kapoor was also in attendance. 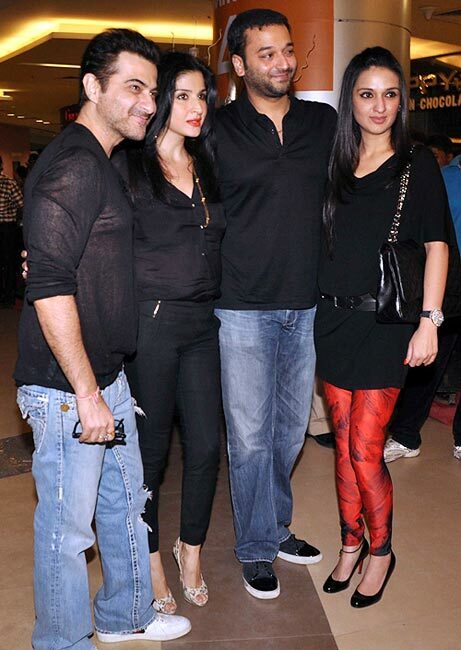 The youngest Khan brother Sohail was accompanied by wife Seema and younger sister Arpita. 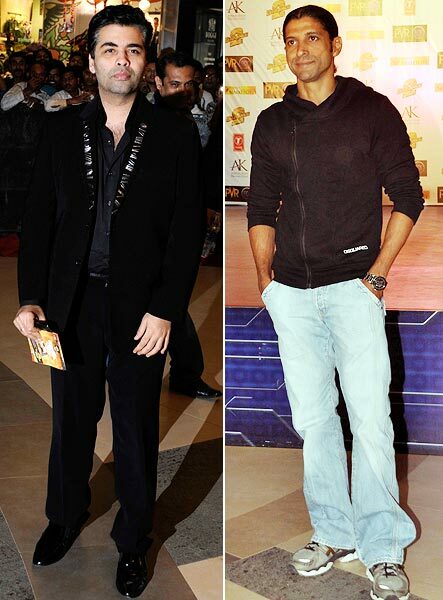 Filmmakers Karan Johar and Farhan Akhtar turned up to catch the potential blockbuster at the screening. 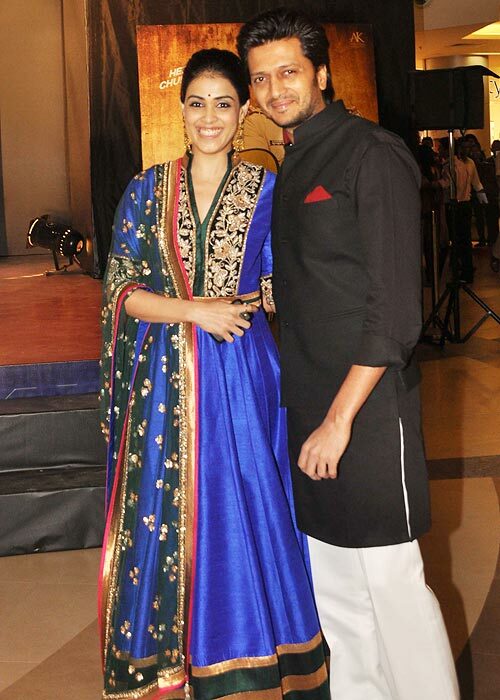 Actor couple Genelia D'Souza and Riteish Deshmukh seemed to be excited to watch the film as they posed for pictures. Malaika Arora Khan, who makes a brief appearance in the film, looked striking in her two-toned outfit. Younger sister Amrita Arora Ladak, who welcomed her younger son Rayaan in October this year, looked pretty in her voluminous anarkali. 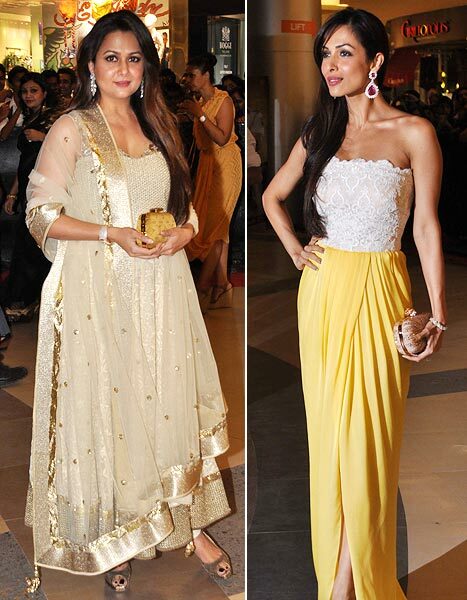 Salman's Yeh Hai Jalwa costar Ameesha Patel and actress Chitrangada Singh were casually dressed for the do. One of Salman's closest friends, Sangeeta Bijlani is greeted by the supercop himself as she arrives for the screening. Pretty young things Mugdha Godse and Claudia Ciesla strike a pose for the shutterbugs. 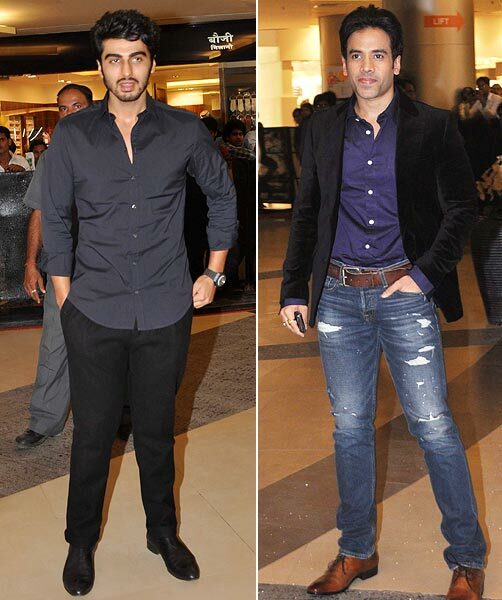 Actors Arjun Kapoor and Tusshar Kapoor were spotted at the do. One of the surprise guests at the screening was filmmaker Sooraj Barjatya, who is yet to come to terms with the black buck incident and is reportedly miffed with Salman. Teri Meri Kahaani director Kunal Kohli arrives. 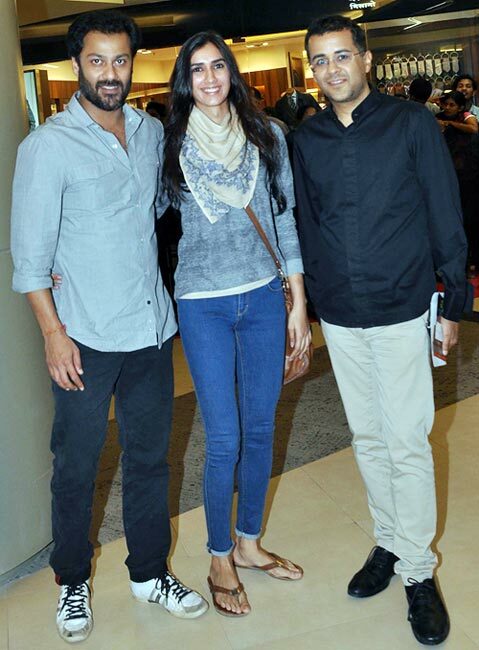 Sanjay Kapoor arrived with wife Maheep and friends Baba and Anu Dewan. Neelam Kothari, who starred with Salman in Sooraj Barjatya's Hum Saath Saath Hain, was also in attendance. 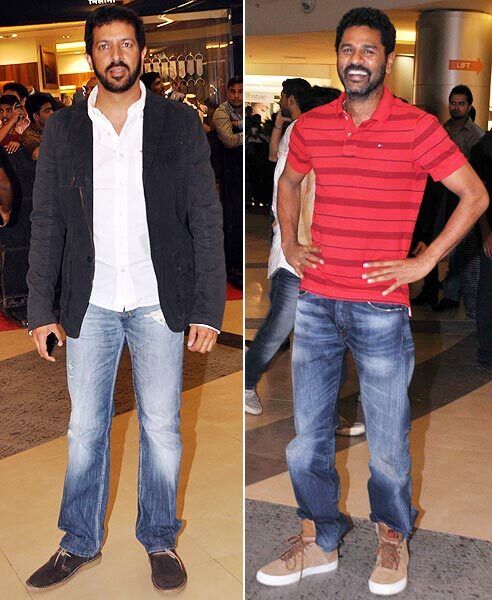 Ek Tha Tiger director Kabir Khan and Prabhu Deva make way to the hall. 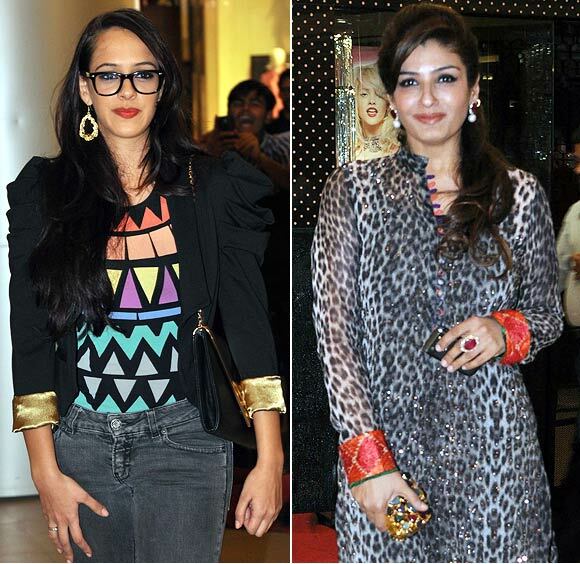 Salman's Bodyguard costar Hazel Keech and Raveena Tandon at the premiere. 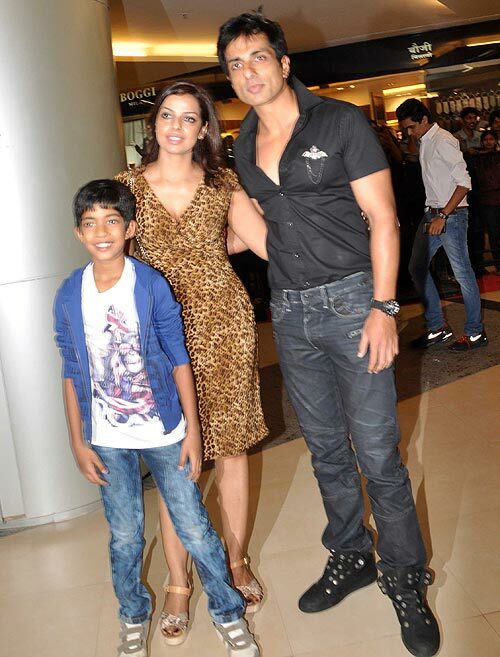 Actor Sonu Sood, who played the buff Bhaiyyaji in the first Dabangg, arrived with wife Sonali and son Ishant. Rock On!! 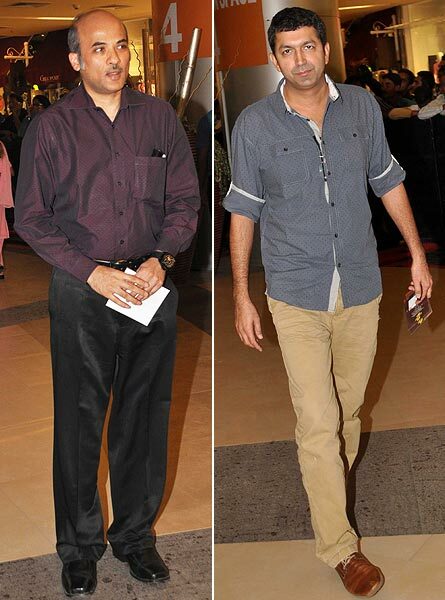 director Abhishek Kapoor, who's new film Kai Po Che will be up for release soon, arrived with author Chetan Bhagat. Kai Po Che is based on Bhagat's bestselling novel Three Mistakes Of My Life. Actor couple Samita Bangargi and Aashish Chaudhary were also at the do.